2009 Woodward Cruise - ShBoom Gone Wild! 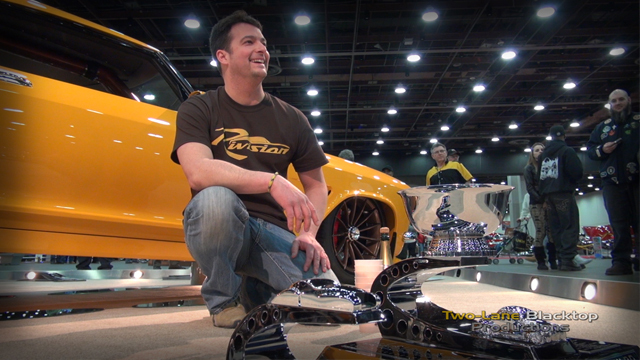 March 10, 2014Two-Lane Blacktop Productions captures EXCLUSIVE FOOTAGE OF THE 2014 Detroit Autorama Ridler winner. JF Launier wins the most sought after custom car award following 2 previous Great 8 wins. JF knew exactly what he needed to design and build to win the 2014 Ridler. Congrats to JF and the entire crew at JF Kustoms !! Full Autorama videos coming soon. August 28, 2013 Our latest production is a promotional video for Projx Auto, Inc. They are the designers, engineers and manufacturers of the ZTA Firebird appearance package available now to transform your everyday Gen5 Camaro into a very unique head-turning modern-day muscle car. This video production included a variety of special shots including the aerial footage shot via an R/C drone equipped with an HD camera outfitted with a floating lens. Also, custom morphing techniques were utilized to transform the Camaro into the Firebird while in motion. Contact Two-Lane Blacktop Productions for your special video production needs. March 8, 2013 The Two-Lane Blacktop Production crew has already started shooting at the Detroit Autorama. 2013 marks the 50th Anniversary of the prestigeous Ridler Award. Many of the past winning Ridler cars will be seen at the show. Plenty of additional show coverage coming to a screen near you very soon. June 16, 2012 Two-Lane Blacktop Productions was down on Belle Isle shooting some great HD footage of the 2012 Detroit Grand Prix. After a 4 year hiatus, INDY CARS, INDY LIGHTS, GRAND AM cars and WORLD CHALLENGE cars made their return to the island for a great weekend of racing action. February 26, 2012 The Two-Lane Blacktop Production crew is just wrapping up the shooting of the 60th Annual Detroit Autorama. Best show yet. The number of high quality cars is at a record level. There were 60 vehicles in contention for the GREAT 8 award. Look for the first full episode of the Detroit AutoRama videos to be live online around March 5th. January 30, 2012 We are now in the pre-production stages for the 2012 Detroit Autorama videos. This will be Two-Lane Blacktop's 4th consecutive year covering the greatest indoor hot rod show in the world. January 21, 2012 NOW SHOWING: The SEMA 2011 video sponsored by PPG. See some of the hottest rides at the show and listen to the comments of Charley Hutton, Bobby Alloway and Tom & Mitch Kelly of Crazy Painters, all featured at the PPG display. Thanks to MSD Ignition, Eaton Detroit Spring, Summit Racing and Discount Tire for sponosring this year's Autorama Videos. 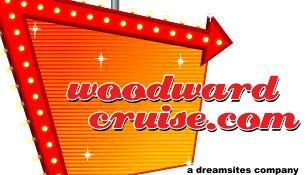 Be sure to visit their websites and become their newest customer. backyard wrenchHEADS... will take you inside the home-based garages where some of the coolest classics, muscle cars and hot rods are being built and restored. You will meet the very unique and talented wrenchHEADS who spend countless hours creating these awesome machines. See the true reality of the car hobby.